There are many meetings throughout the year. Attending OPA meetings are a great way to get involved in OPA events and activities we put on each year. There are six general meetings per year. January, May, July, and November. General meetings are followed by a clay related presentation. The September meeting occurs at our annual picnic. 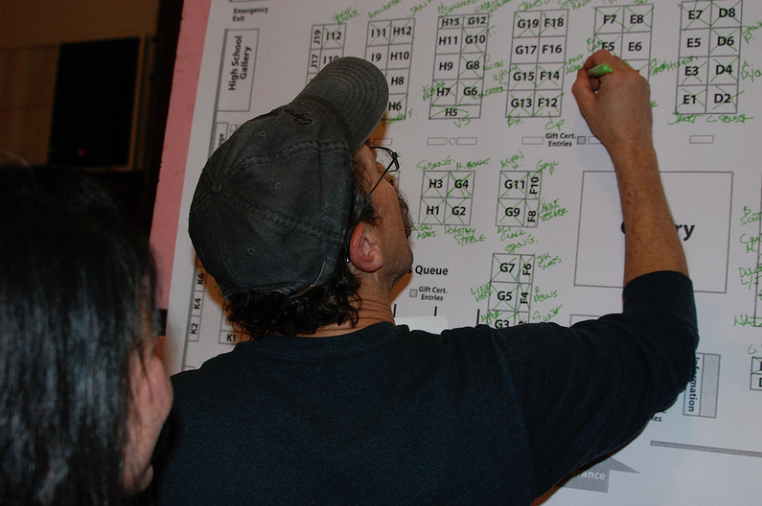 The March meeting includes a large potluck followed by booth selection for our annual show. General Meetings are at Multnomah Art Center. The last 3 years of presentations at the OPA General Meetings have been exciting. While the March meeting is always a pot-luck dinner and Booth Choosing for Showcase, and the September meeting is always our annual Picnic, the other four annual meetings are an opportunity to hear a great talk, watch a slide show, or be introduced to new people and techniques through demo’s and lectures.